Photo show IC Deputy Commissioner Vida Chiong (2nd from left) with President and COO Mona Lisa B. de la Cruz, Chairman of the Board Victor B. Valdepeñas, and CEO Nina D. Aguas. 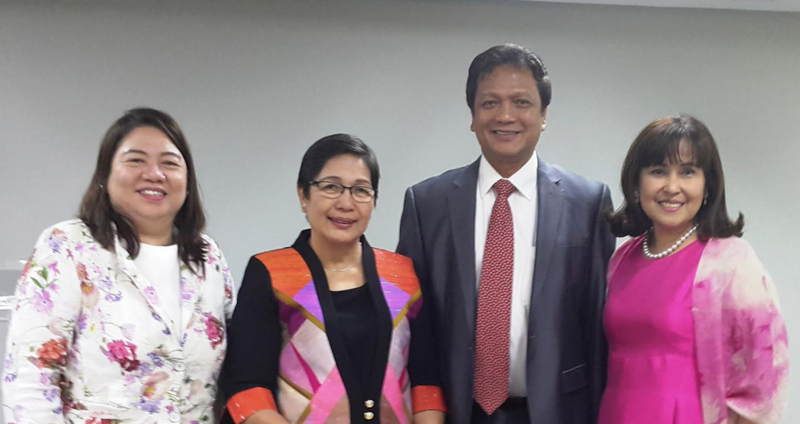 Insurance Commission Deputy Commissioner Vida Chiong was the Guest Speaker at the recent Updates in Corporate Governance and Risk Management Seminar hosted by Insular Life for its Board of Trustees and top executives. This seminar is part of the company’s continuing seminars and fora aimed to provide a common understanding of the critical changes in the life insurance industry, to enable the company to align its practices with long-term sustainable growth and expansion objectives, with a firm commitment to good corporate governance.